Even though the series came out last year, I only recently finished watching all thirteen episodes of Cosmos: A Spacetime Odyssey. I was a fan of Carl Sagan's version that came out in the 1980s and I remember repeatedly watching the copy that my parents had recored for me on VHS tape. The new version is hosted but Neil deGrasse Tyson who guides the audience through a wide range of topics that covers - well - the cosmos. The series uses traditional animation to tell the stories of historical figures who advanced our understanding of the universe (it is no coincidence that the series was produced by Seth MacFarlane). It also uses sophisticated computer animation to make visible both subatomic particles and immense galaxies. It also uses this technique to create architecture that doesn't exist. 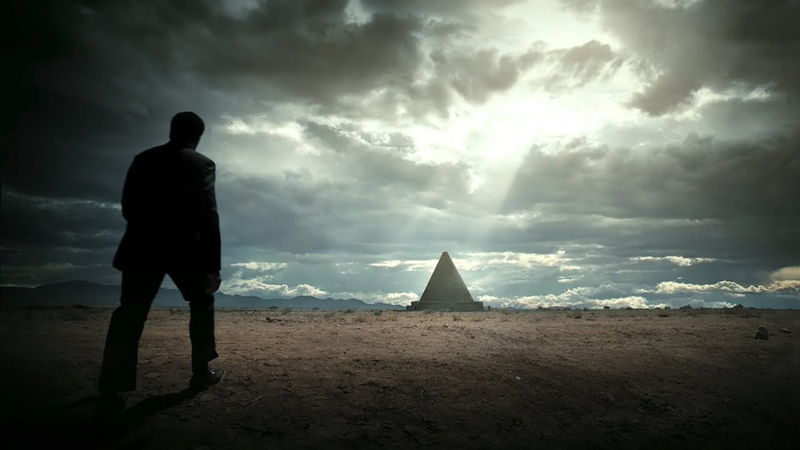 In the Second Episode, Tyson visits the Halls of Extinction, a monument to the 5 mass extinction events planet Earth has experienced. It's an effective narrative tool. As depicted in the series, the monument has a vast central rotunda with radiating wings that each contain dioramas illustrating the range of extinct species that were wiped out by a variety of cataclysms that overwhelmed the planet. The architecture is both familiar and otherworldly; classical and modern. It is so stunning, in fact, that National Geographic created a special video that focused on the CG environment that was created for the series. What the video fails to mention is that the original design upon which the Halls of Extinction is based is actually 250 years old. Étienne-Louis Boullée was a French neoclassical architect who lived from 1728 to 1799. He was a part of the a rationalist architectural movement in Europe that flourished in the late 18th century. At the time, architects were beginning to be inspired by what was going on in science and philosophy and sought to create an architecture that was based more in reason than in the mere reproduction of past styles. The work of Boullée, Ledoux and others demonstrates a shift toward abstracted geometric forms, sublime scales and non-traditional proportions. The movement paralleled the same Enlightenment ideas that were inspiring the scientific discoveries described at length in Cosmos. Just as Enlightenment thinking lead to our moderns understanding of the world, the work of Enlightenment architects lead to modern architecture. 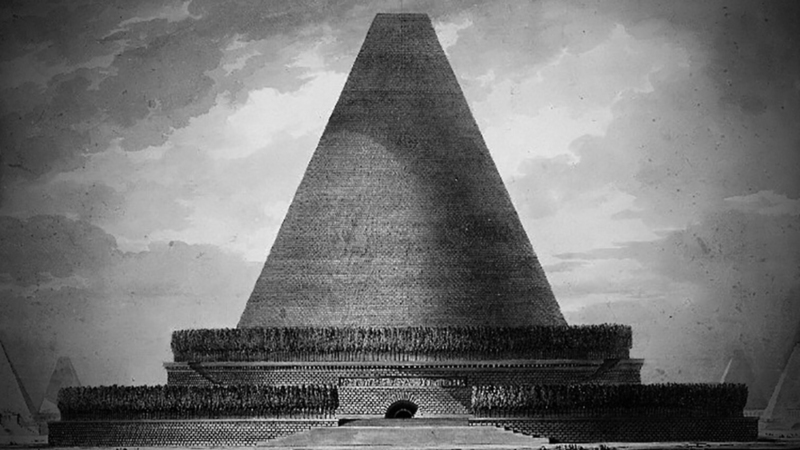 Boullée's design for a "Conical Cenotaph" was part of a larger sepulchral complex. Boullée said he "Kept the surfaces unadorned... the undivided mass preserves the aura of immutability." Boullée would later create a design for "Newton's Cenotaph", a memorial to a key figure of the scientific revolution. On TV in 2014, Tyson expressed the same reverence for Newton and his discoveries as did Boullée did in his pen and ink drawings in 1784.
it seems that weather we're talking about the past or the present, science or the arts, the intimate or the infinite, architecture matters.